Prepare a portion of pasta, remembering that when cooking its volume increases twice. 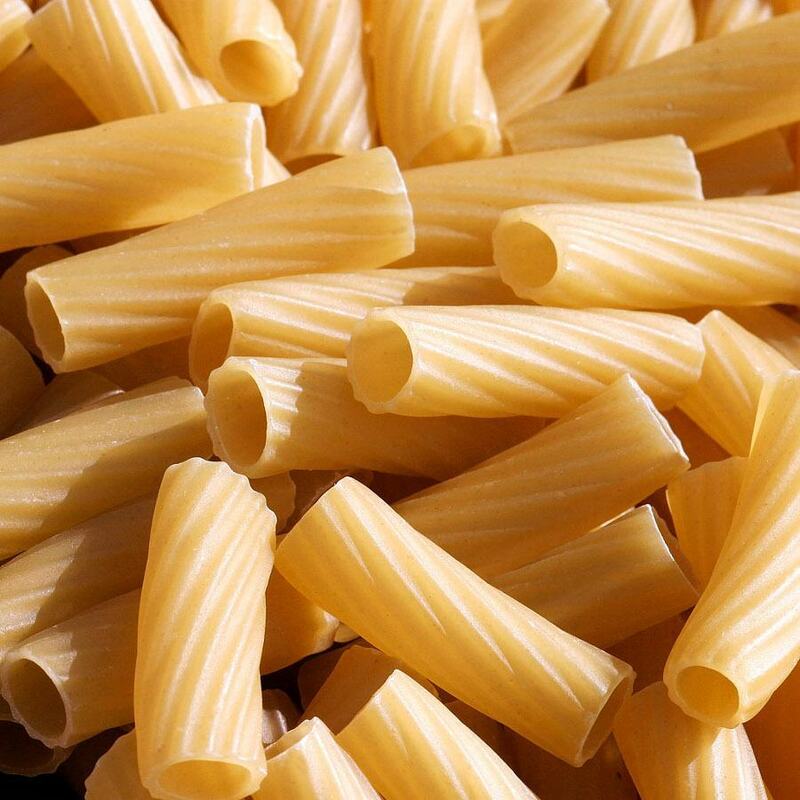 Put maccheroni pasta in boiling salted water (1 liter of water for every 100g of pasta, 1 teaspoon of salt per 2 liters of water). Immediately stir to prevent sticking to the pasta to the pot walls. Depending on the manufacturer, maccheroni cooking time is between 8 and 12 minutes. The exact cooking time can be checked on the packaging. Time start to count from the time of re-boil water. Stir every 3-4 minutes. We do not cover with the pot. We're trying to see if the pasta is al dente - it should be soft but resilient. When the pasta is cooked, drain off very quickly it colander. Serve with your favorite sauce and pour olive oil to taste. Maccheroni is an excellent ingredient in chicken soup.